20.07.2018: With over 1.5 million views on YouTube, Falken Tyre’s video from the iconic ADAC Zurich 24-Hour Race on the Nürburgring Nordschleife was well received. With over 1.5 million views on YouTube, Falken Tyre’s video from the iconic ADAC Zurich 24-Hour Race on the Nürburgring Nordschleife was well received. Now, fans can look forward to an extra helping of thrills and spills as Falken releases a six-minute Director’s Cut of the popular film. As a special feature, the Falken video is available in 4K UHD HDR to watch on YouTube and to download; this means it is of such high quality that it can even be shown on huge cinema-size screens. The video is the first 4K HDR film to be made with real-life motorsport sequences and the first film of its kind dedicated to the Nürburgring 24-Hour Race. The outstanding quality of the 4K High Dynamic Range (HDR) format was achieved by filming with digital cameras in 6K and 8K Raw. It is the best state-of-the-art visual format available and is used in major Hollywood productions and documentaries. To enjoy the full impact, viewers need an HDR-enabled monitor or TV. 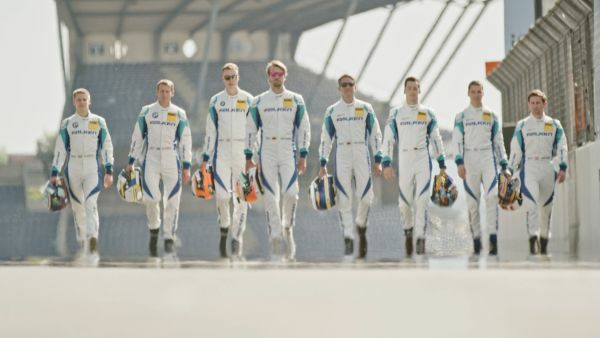 Falken has built a tradition of spectacular videos of the 24-Hour Race; the latest film is the seventh in succession, tracing the performance of its motorsports team in the event billed as “the toughest race in the world”. The tyre brand has honed and perfected its recording techniques over the years, placing the most recent video in the hands of its business partner, film production company MOTIONCTRL. Under the direction of Tobias Kahler, the film crew used six digital cameras, four ATVs, a cable cam and various gimbal systems to capture this striking footage. Nico Verdonck: "Another great experience"